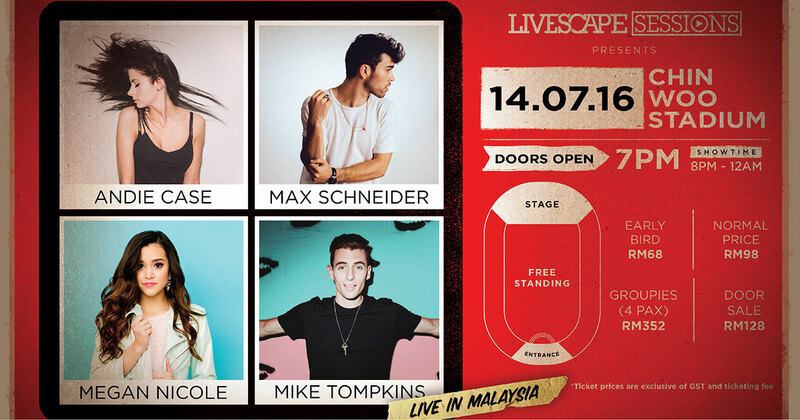 Not too long ago, we announced that YouTube sensation Sam Tsui and Kurt Hugo Schneider will be coming to Malaysia very soon, but seems like they’re not going to be the only famous YouTubers in town, as Livescape Group are bringing over four additional YouTube stars to the country! 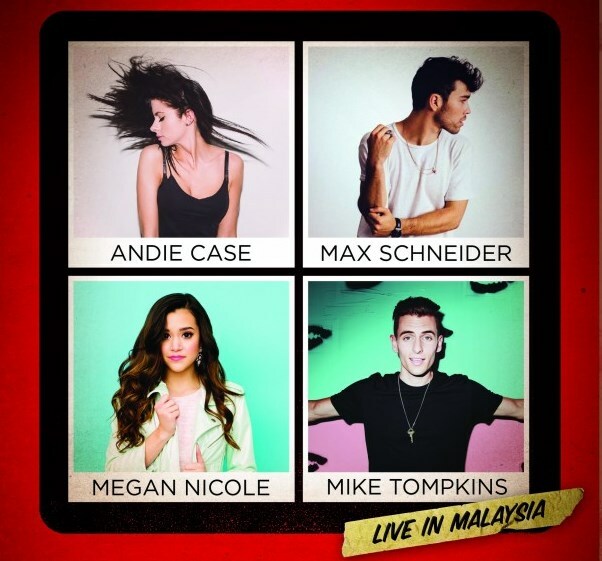 Catch Megan Nicole, Mike Tompkins, Andie Case and Max Schneider performing a one-night only show in Malaysia this coming July as part of their Asia tour. Known for their popular song covers, medleys, and mash-up tunes, the four sensational YouTubers are set to wow their Malaysian fans at Stadium Chin Woo in Kuala Lumpur on 14 July 2016. Megan Nicole and Andie Case have previously performed in Malaysia before, but this will be Max Schneider and Mike Tompkins’ first ever appearance in the country. Tickets can be purchased at galactix.asia.